Hi everyone! This is GiGi from The Cricut Bug and I am sharing these fun Coffee themed cards. 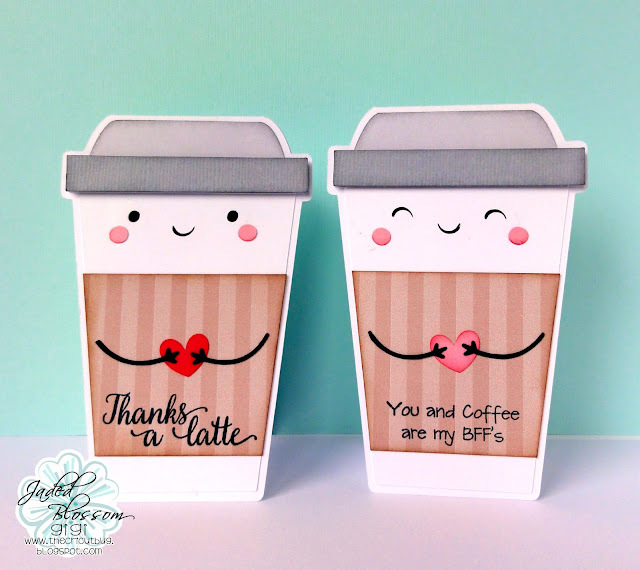 I found these fun Doodlebug cut files at the Silhouette Store and made these cards. I started the square card with a standard A2 card base and added the mats using the Card Mat Dies. 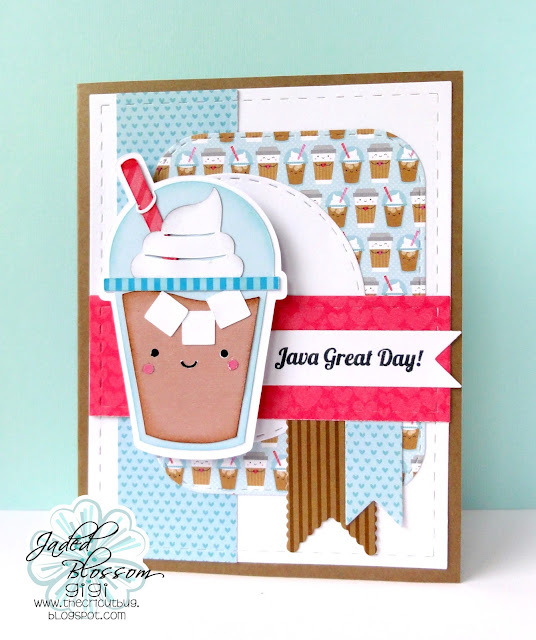 The background is layered with cuts from the Layered Frame and Journal Die, Stitched Circle Dies, and Flag Dies 2. I stamped the sentiment onto the flag banner using the Java Time stamp set and pop dotted the iced coffee onto the card. I created the shaped cards by outlining and then welding 2 together at the top. I cut them out with my Cameo and pop dotted the bottom rim of the lids on. 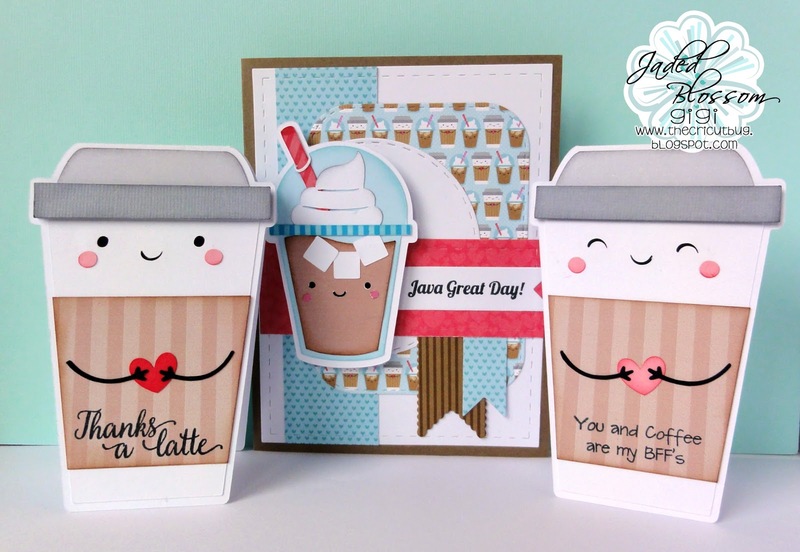 I stamped the sentiments from the Coffee Break and Java Time stamp sets. I hope you all liked my cards for today and thanks for visiting! Oh my goodness these are way too adorable! Love this set so much!